Ultra low power Arduino compatible board. 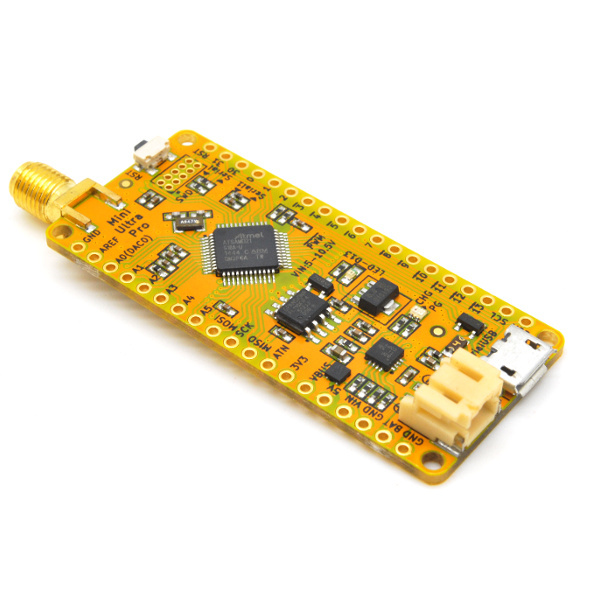 Current version v1.60 comes in yellow solder mask. Please let us know if you think blue is cooler! 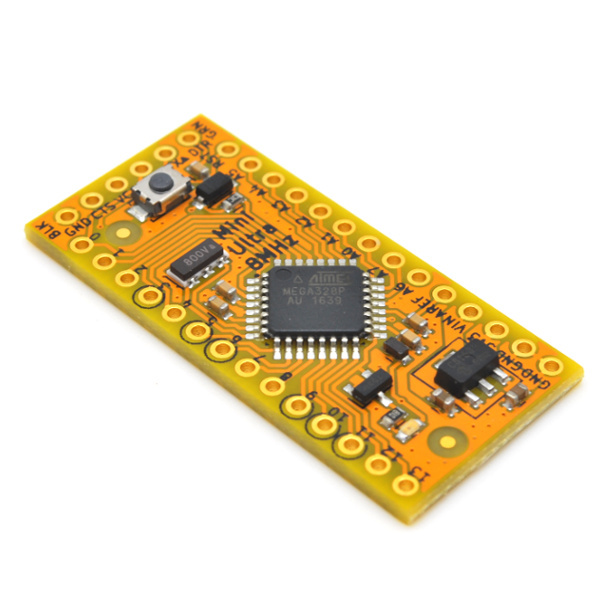 All official Arduino boards are carefully designed boards with individual unique features. 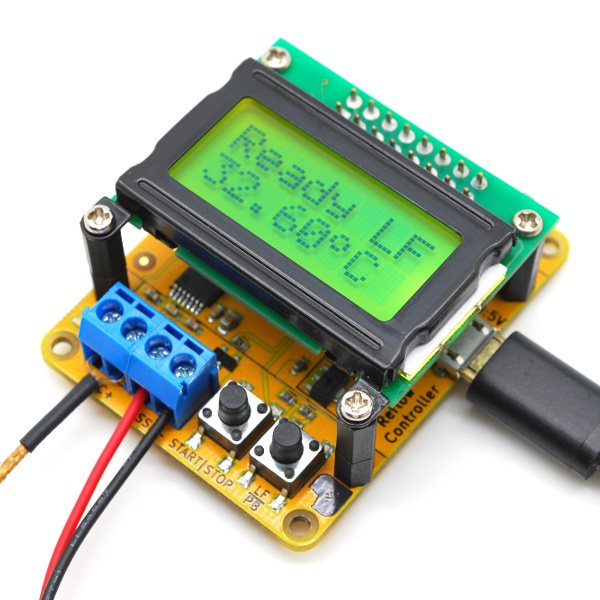 One of the feature that we were looking for was low power consumption. Mini Ultra 8 MHz was designed to fill this void. We also came out with an Arduino compatible low power library to allow flexible low power management of the board. If your next project needs to run on battery or without main power, this is the board you might want to consider! 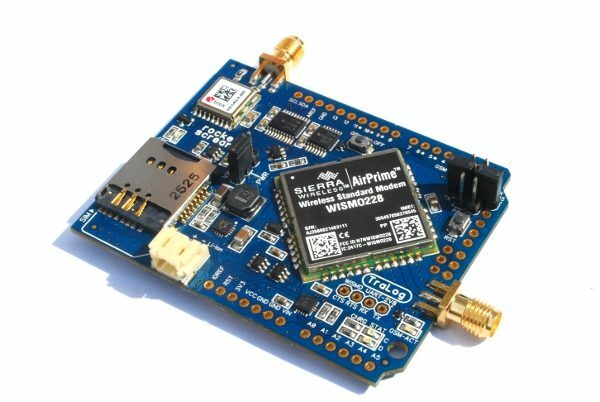 Supporting carrier and application specific boards are coming soon! This looks like the perfect board for a low power project I’m working on, but can’t seem to buy it. Is it really shipping right now? Where’s the add to cart button. As Philip said: where is the add to cart? I would like to buy at least 2 of these. – The add to cart button will not be shown if it is currently out of stock. 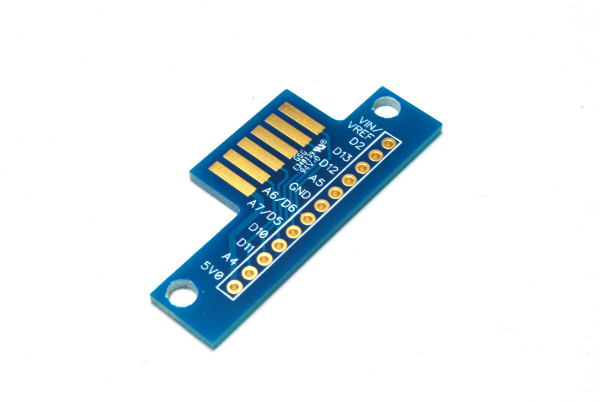 We ordered a few of these and experimented on low power successfully. We used this design to create our own board for wireless sensors. We are theoretically reaching 7 years of battery life on commercial AAs!! HW and SW work really work great together here. As an improvement would be nice to have updated schematics and BOMs. The Git repo seems to be missing latest updates to the board. I want to buy this board when is the store Again. How to connect batteries on that board? Any pictures or tutorial? You can the batteries to the VIN power input pin and battery input range must be between 3.4-6V. does it turn off below 3.4v and on above 3.4 automatically? Below 3.4V, the MCU still runs but on a voltage rail lower than 3.3V. The on-board regulator will drop some voltage (few tens of mV) (also depends on how much current you are drawing at that time) at this point. Tested to run until VIN is 2.7V at minimum. I have a 9 volt battery as a power supply. I see above that I need a maximum of 6 volts input. What’s the best power-saving way to step down the voltage? It’s either you have a switching based step down converter that have very low quiescent current to bring it down below 6V OR use other types of more suitable battery. 9V battery is not a very good choice of battery to begin with.